I want to reiterate that I am not on a weightloss journey despite the title/subtitle of the study I’m going through. I am not following a “diet plan” and I am not concerned with “nutrition” in the conventional sense. I am also not taking diet related supplements. I am on a journey of healing several aspects of my mind/body/spirit. I am trying to lean on God for strength and wisdom in this area. I am listening to my body’s internal cues and not external triggers. But He isn’t waiting for us to get our stuff together, He’s waiting for us to put our trust in HIS abilities and not our own. I love how Paul says, “not that I have already obtained all this, or have already been made perfect…” And yet, he was out there preaching and showing people the way to Christ. He presses on and takes hold of Christ! That’s living in the here and now instead of hanging out in the past or future. Come on fellow dieters, you know what past and future living is like. We remember that scale number from eons ago and wish we were still there. The clothes from the past hang in our closet, taunting us with “where we were”. And if we aren’t hanging out back there, then we’re thinking about some future date when we’ll finally “reach goal” and will magically be free of this constant struggle to be the perfect size, in the perfect jeans. Sigh. But we’re missing life. It’s passing us by. We’re either wallowing in our failure to maintain what we lost, or longing for a future where we’re free. What a waste of the precious gift of life we’ve been given. What if we believed that God can use us right where we are? What if we stopped navel gazing and started turning our eyes toward Jesus instead? The author tells the story of a beautiful eagle who believed he was a chicken. He didn’t fly, he just hung around the chicken yard and pecked the ground with the other chickens. He didn’t know he was an eagle, so he behaved like what he knew… a chicken. He didn’t know he could fly… so he didn’t. Then one day, a naturalist took the eagle up to the very top of the mountain where the other eagles roosted. When the eagle realized what he was designed to be, he never returned to the chicken yard. I’ve talked about this on the blog before, but it bears repeating. “As a man thinks in his heart, so is he”. (Proverbs 23:7a) Our beliefs come to fruition in our lives. When we think of ourselves as fat, lacking self-control, eating disordered, trapped failures… guess what we become? Yep, we will eat and act like this person if that’s who we believe we are. I am limited by my beliefs. What if I lived like a thin person? What if I turned my failures over to God to be redeemed? What if I was willing to “step out of the nest” and fly? Right now. At this size. I have decided that I am going to make a bookmark to keep in my copy of Thin Within. This bookmark is going to have a list of “I am” statements on it to remind me of who I really am in Christ. I’ll post a picture of it once it’s ready. I already started writing some statements in the margin of my book, but I want the list to go from chapter to chapter with me. I need the reminder to stop living like a lily-livered chicken (bock, bock, bock) dominated by the fear of flying the coop. And ya know what, if I freak out and start to fall…. 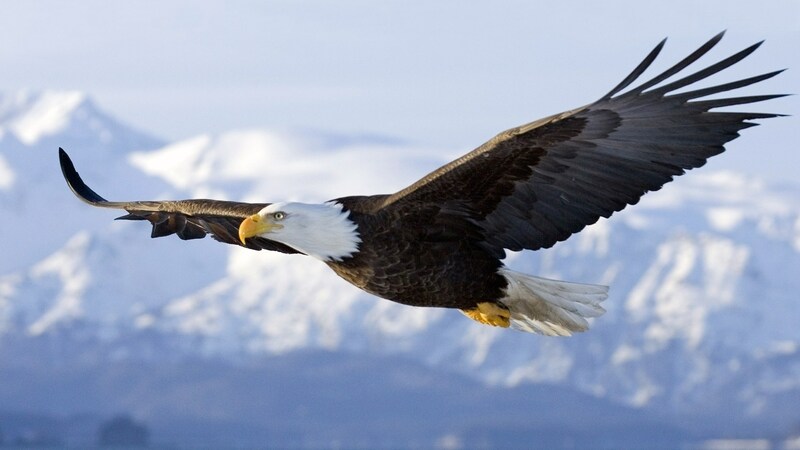 “like an eagle stirs her nest and hovers over its young, that spreads its wings to catch them and carries them on its wings…” (Deuteronomy 32:11)… the Lord will lead me too. The exercise we were asked to do was a good one. I do have a fear of failure, and it was good to analyze a particular failure from the past through a different perspective. I also like the questions she suggests we ask ourselves when we struggle with success or failure. We were out and about a lot today. As a result, there was an “eating in the car” incident. We were hungry and stopped at a convenience store for a bite. I chose something along with some mineral water. I ended up having only a few small bites of my snack before I decided it was “enough”. THIS WAS SHOCKING! Eating in the car can be a HUGE trigger for me. It’s like I would believe that “car eating” didn’t count – ha ha! The rest of my yummy snack was right there for another two hours and I didn’t touch it. Blown. Away. Thank you, Lord! So, while I wasn’t victorious later on the sofa, I did have victory in Jesus in the car. 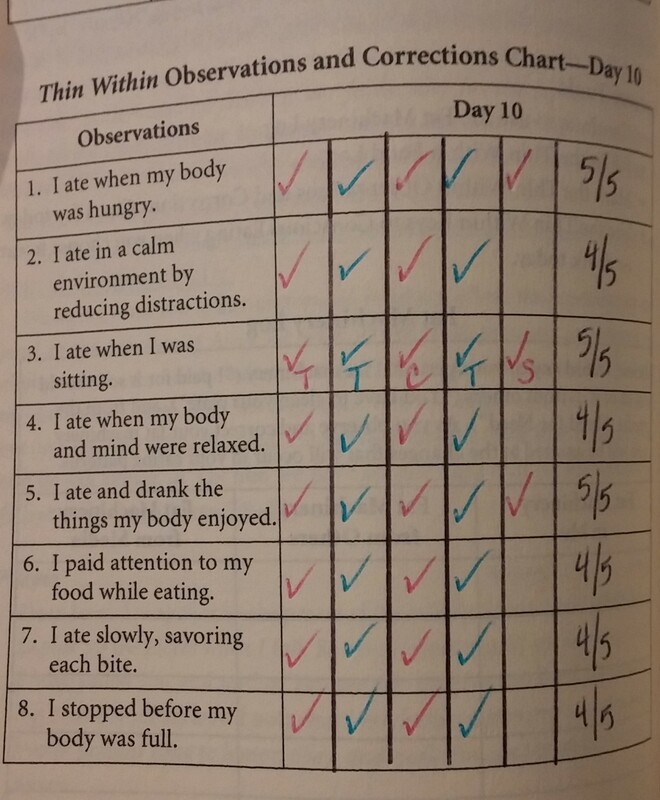 I’m still using the “food log”. I figure I’ll use it unless God says not to. I’m not really focusing on it or anything though.